Colours are very powerful things, they have the ability to change our moods, emotions and balance. 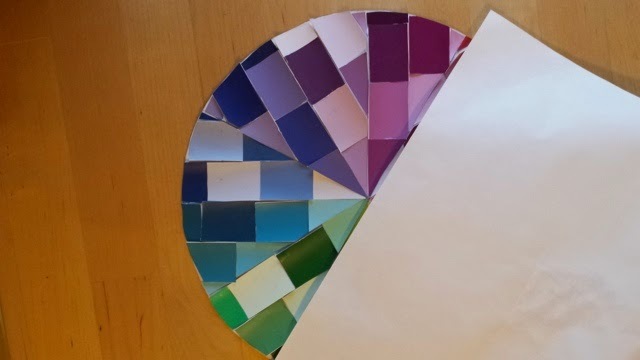 It is believed that colour choices you make reflect a deeper meaning on your personality. 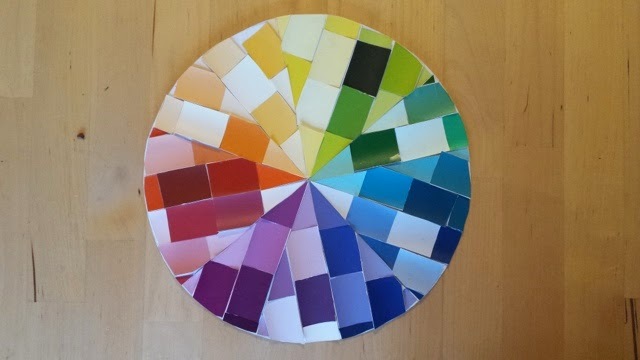 Part of the reason I want to show you the colour wheel, so that colour selection remains your own as I truely believe selecting colours are part of the artistic process and if one is using art as a form of therapy it’s important that this isn’t influenced by anyone else other than yourself. 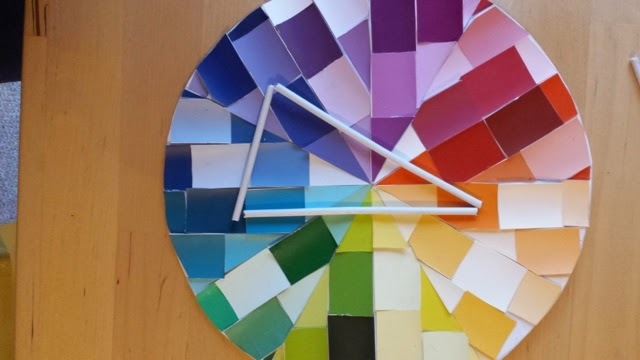 The colour wheel is based apon 3 different types of colours, primary, secondary and tertiary. 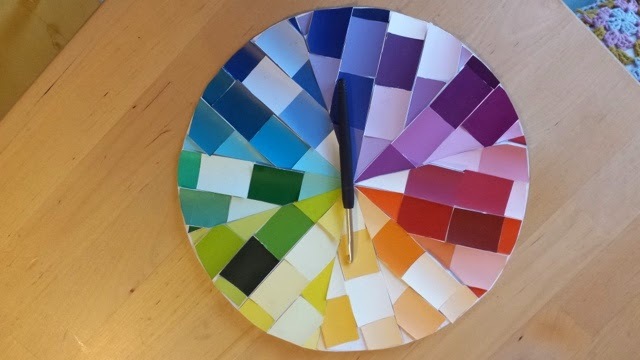 It’s so easy to make your own colour wheel, you can paint it, mixing the paint as you go, colouring pens/pencils, download one, buy one, or collage one like the one ubove using free paint charts. These hues cannot be made by mixing any other colours, but these are the colours we use to make other colours. Secondary colours are made by mixing two primary colours together. These colours are formed by mixing a primary and secondary colour together. Thus resulting in two word colours, red-orange, yellow-green, blue-purple etc. Warm and cool colours have a clear divide on mood, for instance, introverted people tend to like cool colours like blue, that lower blood pressure and can often by a very calm colour. 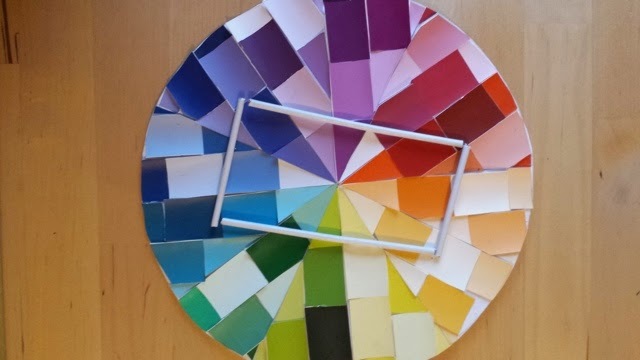 Extroverts like colours such as red and orange for the opposite effects and people who need more emotional balance opt for colours like green and purple, colours that are on the edges of the warm/cool divide. 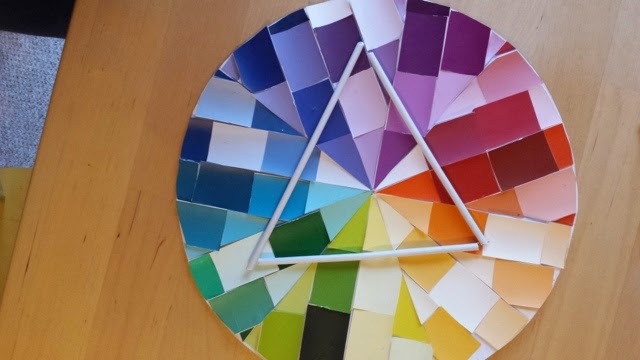 Tonal colours follow all these principles but are colours that have either had white or black or grey added to them. 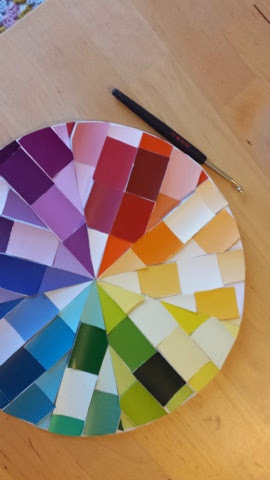 So now we can look at how we use the colour wheel to build colour schemes that work. 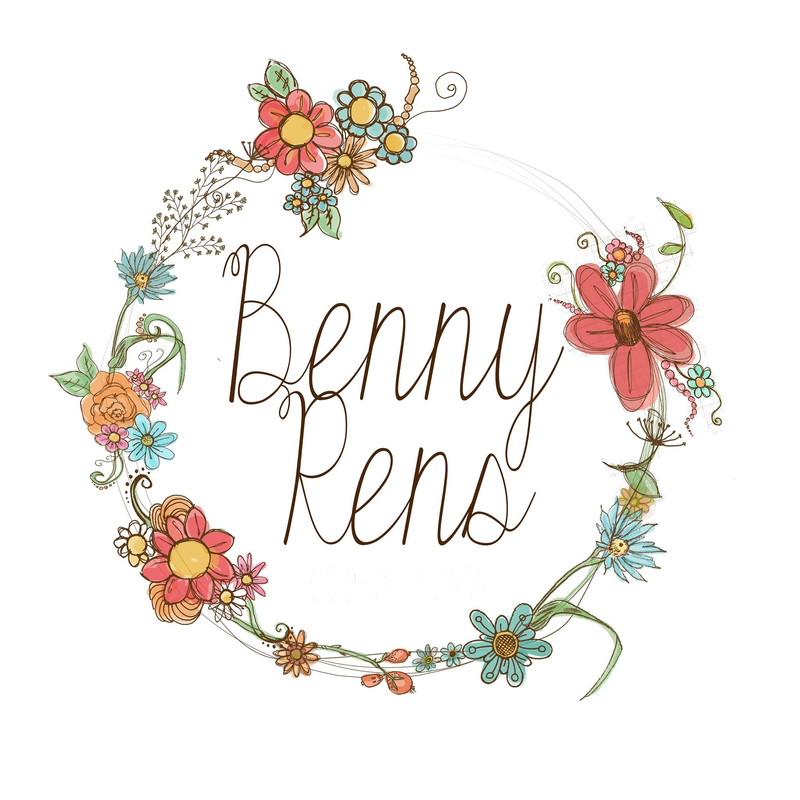 A good starting point would be taking inspiration from something, a cushion, a piece of art, or material for instance. Starting with your favourite colour is also a really good place to start. 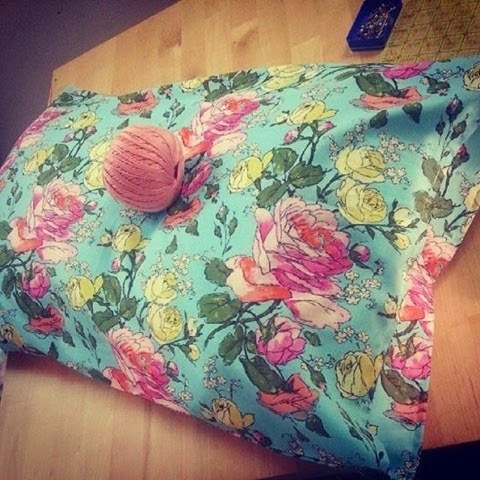 Remember those pillows I made? 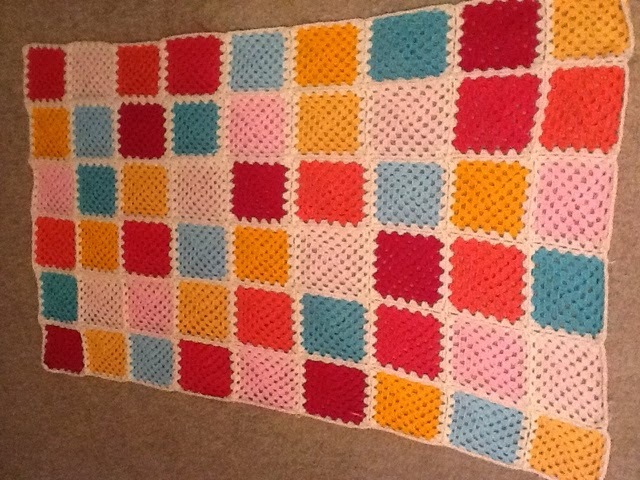 It inspired the blanket below. But what if you have no starting point? 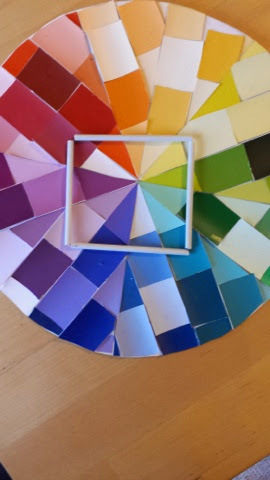 This is where the colour wheel comes in. Three colours sat next to each other are harmonious colours or an analogous scheme. 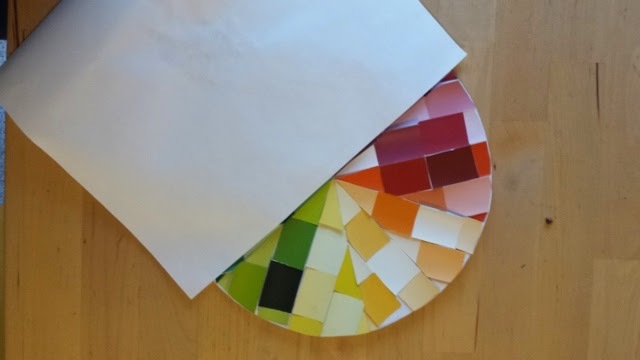 These colours sit opposite each other on the wheel, they create contrast when used together. This scheme is a variation of complementary that uses 3 colours. This scheme also uses 3 colours but that are evenly spaced around the wheel, normally with this scheme one colour is more dominant and the other two are accent colours. Similar to square but is actually any two sets of complimentary colours.